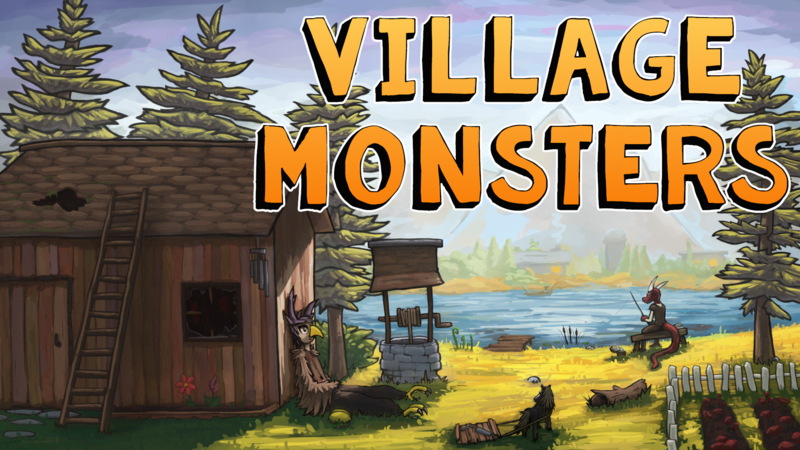 It's the weekend, and that means another edition of the Village Monsters Dev Diary Digest (VMD3)! Like last week I have a bit of housekeeping to do before diving in. Longtime followers know that I've tried several different ways to present progress updates, but none of them have really 'stuck'. However, it seems this weekly format has really been working for me. As such, I went ahead and created an archive for every Dev Diary Digest I've posted since I started doing them. If you missed earlier editions, or if you just want to see how far I've come, then please do take a look! A few weeks ago I was working on debugging critter behavior, and for whatever reason I was testing it in the player's house. As I kept going in and out of the house it occurred to me how much I actually liked having a critter there - it was sort of like having a pet! Wouldn't it be cool if that was an actual feature? At first, all critters start out as "Wild", and they'll act much like they did before you caught them. Over time, if you feed them and treat them well they'll increasingly become tame and more affectionate. I had to improve the weather system to handle the little hail pellets, and these improvements should help with any 'ground based' weather effects in the future...leaf piles in the fall, snowdrifts, rain puddles, and so on. I then went ahead and added more sound effects to the various weather types. I also added a minor feature where weather sounds can still be heard indoors at a lower volume. It's surprisingly atmospheric, especially during thunderstorms! Finally, though I generally don't like it, I also spent a great deal of time on UI work. I've never enjoyed UI work, not even at my last job where functionality was preferred over looks, but I'm actually pretty happy with how things shook out this time. I then added movement to various notifications. I like it a lot better than the notices just appearing suddenly. 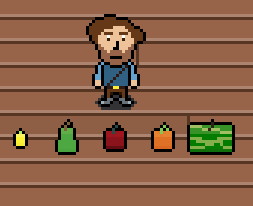 Finally, I completely blew up and reworked the inventory. I actually did this some time ago, but I added an extra layer of polish and usability this week. It's unquestionably better than the old inventory, but that's not saying much - the old one was really bad! Anyway, that's it from me. 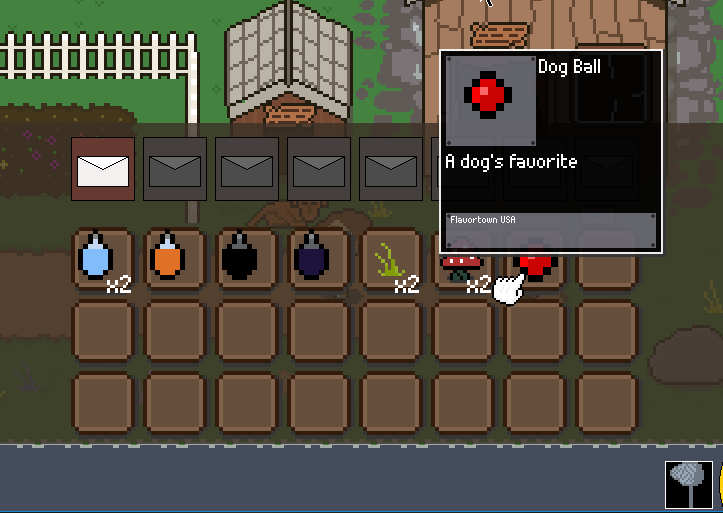 As usual I also added a lot of minor things, quality of life improvements, and bugfixes, but nothing I need to call out. Have a good week!